Know more the best suitable tirupati travel packages and book your packages now. Welcome to Srinivasa Travels, Chennai best tirupati tour operators. We offering one day & two days chennai to tirupati tour packages at lowest price. Our packages includes special VIP darshan tickets, breakfast and lunch, pickup and drop, tollgate, parking, driver beta and fuels. We assured comfort and safe pilgrimage trip for the devotees from chennai. We are 12 years in this tirupati tour packages from chennai. Our motto is customer satisfaction. We are support 24/7 and you can any time consult about tirupati trip. On the journey our driver give best guide for balaji darshan. 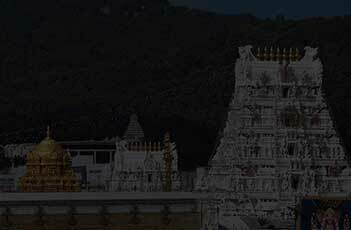 All our Tirupati packages includes Special VIP Darshan Tickets. Our Tirupati Tour packages includes Breakfast and Lunch. Our Packages includes pick up and drop you at your doorstep. Our packages is lowest price and the highest value. We are 24/7 available to guide your tirupati travel needs from Chennai. We assured early check-in and check out at temple. Our driver will guide you to get Wonderful tirupati trip.